Grocery lists. To-Do lists. Don’t Forget lists. For some of us, we live by our lists. 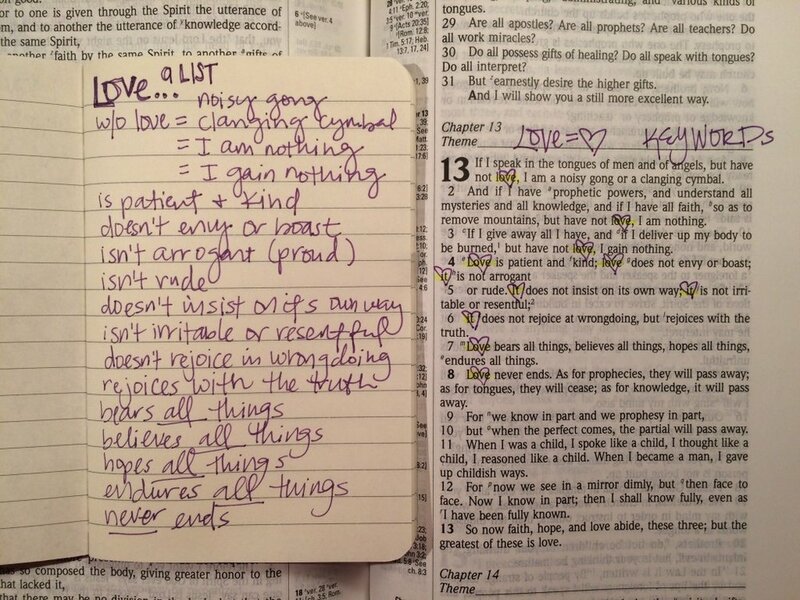 Making a list can be a fantastic way to remember important things -- especially during Bible study. Once you've identified and marked key words in a passage of scripture, then making a list about each important word will help you further absorb what the text is saying. So record what the passage says each time the key word is mentioned. As you make any list, it is important to stick as close to our reading as possible. A good question to keep in mind is "what is the text saying?"